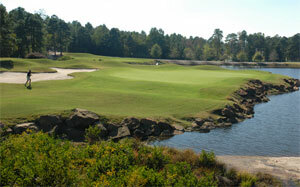 Mid South Club is one of the Carolinas most attractive private residential golf communities. Five hundred forty five acres of longleaf pine forests, lakes and gently rolling hillsides provide a backdrop for a place of beauty and serenity. The Mid South Club Arnold Palmer signature golf course offers it’s members a challenging yet enjoyable championship layout on which to test their skills.